Your Eminence, Your Grace, Reverend Fathers, Brothers and Sisters! About five years had passed since we first began to look for a location for the administrative center of the Eastern American Diocese; on September 12, 2014, it was officially opened. Today we prayerfully open the second Diocesan Assembly in this God-preserved town of Howell, NJ. The years that have passed since the center’s opening served to confirm the wisdom of our selection of this site and St. Alexander Nevsky Cathedral as the administrative center of our diocese. The center hosts general diocesan activity, and a hospitable atmosphere always reigns here: the administration receives visitors here from other dioceses and from abroad. Today, we cannot but remember the builder of this cathedral, Protopresbyter Valery Lukianov, who reposed in the Lord on May 25 of this year. It was a loss to the entire Church, because Fr. Valery was a true servant of the Church, a man of prayer, a writer, a preacher of the Gospel as it was bestowed upon the Holy Apostles, the disciples of Christ. It is no accident that the Lord took him into His abode on the eve of the feast of the Pentecost. May the Lord grant repose to our spiritual guide, Protopresbyter Valery of blessed memory, and grant him the Kingdom of Heaven. 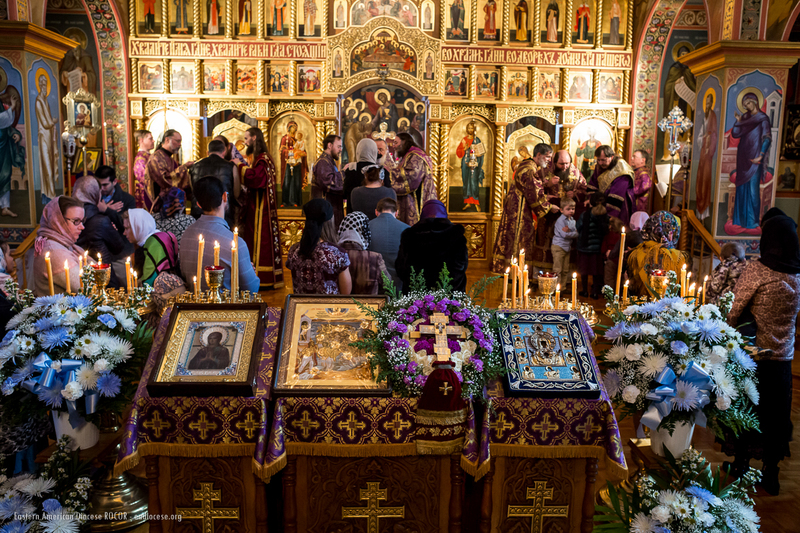 Over the last three years, the Diocesan Center has been filled with Church events: the Lenten Retreat for clergy and matushkas of our Diocese, a concert by PaTRAM, and it has welcomed holy relics venerated throughout America and the entire Orthodox world. On December 4, 2015, a monument to the Reunification of the Russian Orthodox Church was erected on the Diocesan Center’s grounds. It was created in the Russian National Creative Workshop "Art-Project," LLC, under the leadership of its general director and president of the Foundation "Under the Protection of the Theotokos," Eugene (Evgeny) Korolev. The Diocesan Center’s hall exhibits 20 portraits of our reposed and living archpastors. I am genuinely thankful to all who donated to pay for the portraits to be painted: the parish rectors, clergymen, and laity. On January 7, 2017, regularly posted diocesan news became available on a new diocesan website. In 2017, Protopresbyter Valery Lukianov’s new book, Blessed Pastorship, was presented here. These events, one might think, are not all equal in scope, but they are equally valuable in the eyes of God and beneficial for the spiritual growth of our clerics and the strengthening of our flock in the Faith. We archpastors and clergymen always feel welcome in our Diocesan Center, and today I would like to personally thank my collaborators and companions in prayer. My vicar, Bishop Nicholas of Manhattan, has been an invaluable aid to me during these years. Over these last four years, our clergymen and faithful have come to love Bishop Nicholas. Always even-tempered and accessible, His Grace joyfully visits our parishes, leading divine services on feast days; the members of our administration and diocesan offices come to him for counsel. 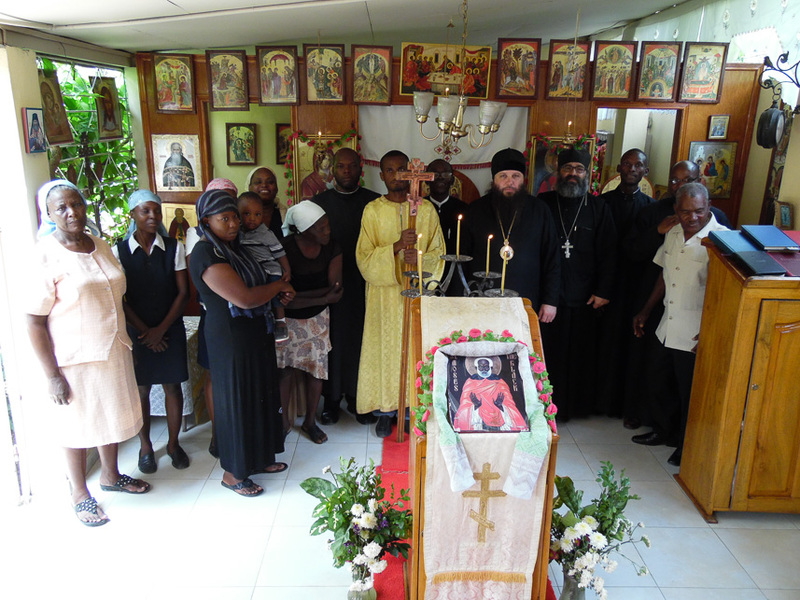 Guardian of the Kursk Root Icon of the Mother of God "of the Sign," Bishop Nicholas visits the parishes of our Diocese from Maine to Latin America; he has traveled throughout the globe with the holy icon, from Japan to the Baltics. I express my heartfelt thanks to Archpriest Serge Lukianov for his tireless efforts as the diocesan secretary. For almost 10 years, Fr. Serge has energetically devoted great efforts and time working for the good of the Diocese, expediently and precisely fulfilling the obligations we lay upon him with our blessing; imparting a great deal of attention to the affairs of parishes and monasteries, often visiting churches on their feast days, prayerfully supporting the clergy and laity; tending to the needs of our parishes. I always feel genuine joy in meeting with you and hope that this feeling is mutual. But officiating at such a large gathering, which we attend today under the aegis of our Protectress, the Most Holy Theotokos, is a great responsibility. Today we report on our joint efforts, we share our successes, which are gained thanks to divine aid and the intercession of the Queen of Heaven. Still, we cannot but point out the missteps that in the future will demand our undivided attention and correction. Let us not forget that to serve the glory of God and the Holy Church is impossible alone, but only with the support of like-minded people, the community of the faithful who possess many various talents, and only with love and mutual trust, so that all our work is accounted for and is transparent. These last three years were very productive for the new membership of the Diocesan Council, but also burdened with important and complicated challenges. You have my earnest gratitude for your labors and your counsel, which I value and upon which I depend in my archpastoral service. I offer words of thanks also to the members of the Auditing Committee and the Spiritual Court. Continue to be "stedfast, unmoveable, always abounding in the work of the Lord, forasmuch as ye know that your labour is not in vain in the Lord" (І Cor. 15:58). And may God allow us to grow so that our Diocese, in fulfilling the Gospel’s commandments, would not only support our current needs, but manifest charitable projects: to help the poor, the sick, retired clergy, and widows. As of October 1 of this year, the Eastern American Diocese has 98 churches and 10 chapels. Over the last three years, we consecrated the Cathedral of Blessed Matrona of Moscow in Miami (Dania Beach), in December, 2015; in January, 2016, the first Liturgy was celebrated in the new church building of the Icon of the Mother of God "Inexhaustible Chalice" in Brooklyn, NY. 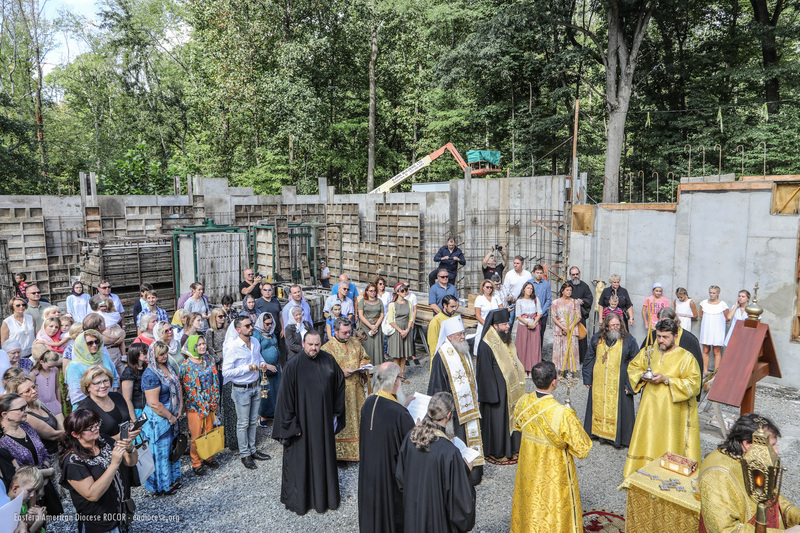 On September 6, 2017, the Chapel of the Most Holy Theotokos in Wayne, NJ, was consecrated, which will soon be located next to a new Church of the Holy Archangel Michael, the foundation of which was laid in September of this year. The church will be home to the Orthodox community of Paterson, NJ, whose rector is Archpriest George Zelenin. I would like to mention our old churches which have been celebrating anniversaries. 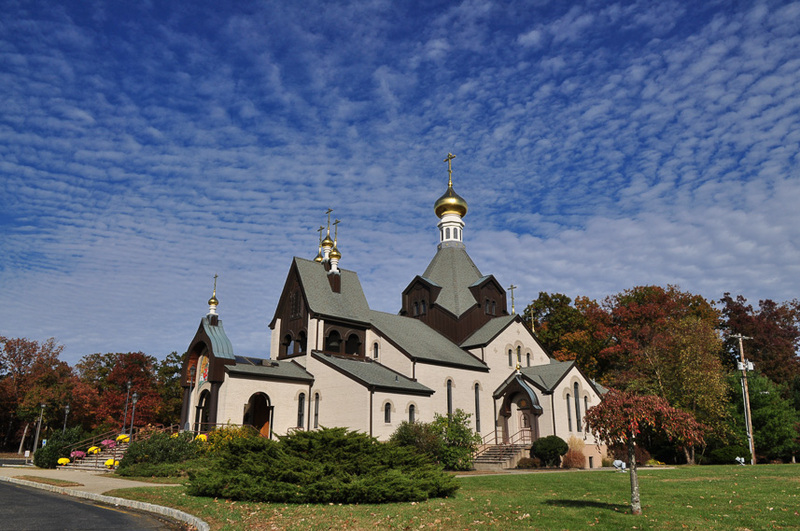 The year 2015 marked the 85th anniversary of Holy Trinity Monastery in Jordanville, NY; in September, 2016, the 125th anniversary of St. John the Baptist Cathedral in Mayfield, PA, was celebrated; the fall of 2017 marked the 100th anniversary of Holy Virgin Dormition Church in McKeesport, PA. It was the 80th anniversary of St. Alexander Nevsky Cathedral at our Diocesan Center in 2016, and this year is the 80th anniversary of our neighboring St. Vladimir Memorial Church in Jackson, NJ. On October 22, 2017, we celebrated the 70th anniversary of Holy Trinity Church in Vineland, NJ. These years were not always kind to these parishes, but by the prayers of God’s clergy and the parishioners, they were able to preserve their long and glorious history, safeguard their communities, and perform social work. In order for the Diocese to continue to grow and strengthen, we must cultivate the sense of duty for one’s parish, one’s spiritual home, preserve a familial atmosphere in our parishes, bring together youth, all of which were features of the first waves of the Russian immigration who preserved the Russian Church Abroad for us outside the borders of our historic homeland. 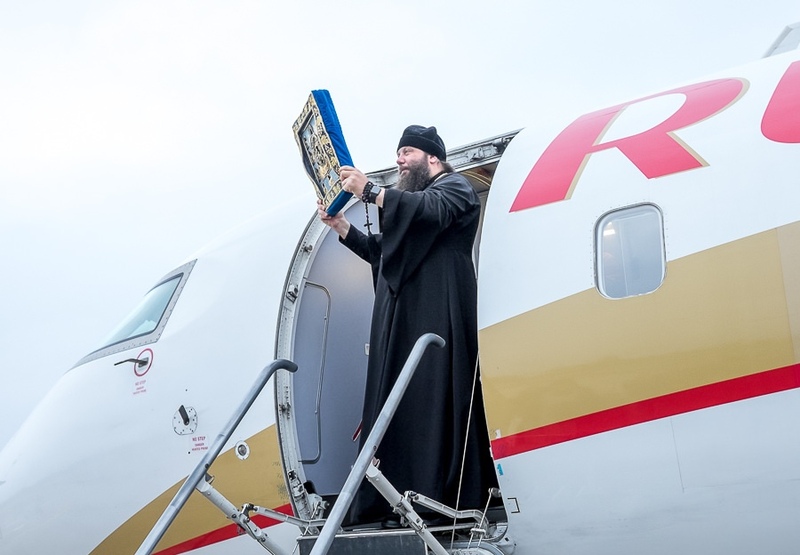 Over this three-year period, our many parishes and communities welcomed holy Orthodox relics. Foremost among these is the Kursk Root Icon of the Mother of God "of the Sign," which in November 2017 traveled to Costa Rica for the first time, visiting Our Lady of Vladimir Church in Coronado. 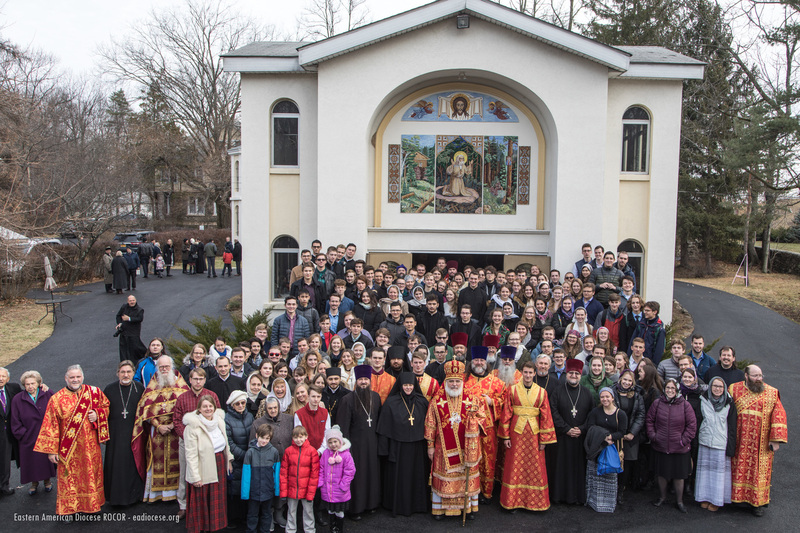 It has become a tradition for myrrh-streaming icons – the "Hawaiian" Iveron-Montreal Icon and the Icon "Softener of Hardened Hearts" from Moscow – to visit the Diocesan Center during Great Lent. This spring, the holy icon "Softener of Hardened Hearts" visited small parishes in Pennsylvania for the first time. The visits of these holy images provide an opportunity to venerate the grace of God and a good opportunity to educate, especially among the younger generations. When we greet our myrrh-streaming icons, we prayerfully remember the guardian of the very first such Iveron-Montreal Icon of the Mother of God, Brother Jose Muñoz-Cortes, who was brutally murdered, and buried in the cemetery at Holy Trinity Monastery in Jordanville, NY. Every year at the end of October, the day of his martyrdom, the faithful of our Diocese, primarily the parishioners of St. John the Baptist Cathedral in Washington, DC, and St. Alexander Nevsky in Howell, make a pilgrimage to Brother Jose’s grave, the 20th anniversary of which we marked in 2017. Last year we welcomed another holy image from Moscow: the Krugosvetnaya ["Circumglobal"] Icon of the Protection of the Most Holy Theotokos, which contains a fragment of the veil of the Mother of God. Unfortunately, some parishes cannot but face problems, the most urgent of which is, as usual, their meager financial means, as a result of which they cannot pay the Diocese the standard 10% dues as established by the Synod of Bishops. If this sum is impossible to raise, rectors must appeal to the Diocesan Council in writing, which after a thorough examination and approval may reduce the percentage due. However, one gets the impression that some of the relatively better-off parishes also "forget" to pay their diocesan dues in a timely manner. Then the diocesan administration is forced to send multiple reminders to parish councils of their obligation. Today, we once again appeal to our reverend rectors with the request that you preserve the dignity of your parish, and make timely and full payments to support our Diocese and our Synod. Some of our parishes, especially our missions in Haiti, the Dominican Republic, and other places barely make ends meet and suffer great material need. The Diocese tries to help them and intercedes before the Fund for Assistance to the Russian Orthodox Church Outside of Russia. In particular, last year the Diocese helped the missionary parishes in the Dominican Republic, Cost Rica, Puerto Rico, and Nicaragua with funds and liturgical items. Speaking of our missionary parishes, I would like to mention the efforts of our missionary clergy: Archpriests Daniel McKenzie and Peter Jackson of Miami. Fr. Daniel has for many years provided pastoral care for the parishes of Haiti. A church is now being built in Les Cayes, in the southern part of Haiti, to be dedicated to St. John of Shanghai & San Francisco. Fr. Peter Jackson ministers to the Spanish-speaking faithful of Miami and abroad. I would like to note that the parishes of our Diocese would not be complete without our youth. I observe with thanks to God how in our unsettled times, our churches are becoming a second home to the younger generation. We must continue to cultivate this trend and support it in every way. The future Archbishop Averky (Taushev), when he was still an archimandrite and director of the St Vladimir Youth Circles, reminded young people that one of the characteristics of our time is the "unusual increase in all sorts of temptations, which detract people from true and earnest service to God, when life with God becomes very difficult." In our day, the contemporary world has changed little. Thus Archbishop Averky’s words are relevant today. He calls upon young people to turn to the experience and wisdom of the Holy Fathers and points to the words of St. Ignatius (Bryanchaninov): "Seclude yourselves, protect yourselves from temptation, and that is all that should be expected of you. Let us learn the spirit of the times, study it, in order to escape its influence." How important it is to remember in our times, to keep at the forefront of our thoughts and in our hearts these most precious words of guidance of our great Russian spiritual lantern, St. Ignatius. We all know that to approach Christ and follow Him is possible in various ways, and so in missionary work there are many paths and approaches. This includes joint prayer and education, works of mercy and collaboration. For several decades now, the summer camps have been educating and edifying youth – NORR and SGPA scouting camps, the English-language St. Seraphim Camp, the children’s camp at Glorious Ascension Monastery in Resaca, GA – where, under the guidance of our clergymen, young people learn about the Orthodox Christian Faith, learn the traditions of the scouting movements, the history and culture of Russia, and the principles of safety. The St. Herman Youth Conferences have been held for 45 years as of 2017, the first of which was simply a youth pilgrimage held with the blessing of Metropolitan Laurus of blessed memory (in 1973 he was Bishop of Syracuse & Holy Trinity). Since our last gathering, youth have been gathering at St Herman Conferences in Albany, the capital of New York State, in Washington, DC, Novo-Diveevo, and in Nyack, NY, and then again in Albany this December. Every conference provides a good platform for introducing youth to the Church, for edification and making contact with Orthodox youth. Also loved by young people are the Liturgical Music Conferences, which have been held in Florida, California, and – this October – in Albany. Ministry of our church youth is inseparably bound to the name of Metropolitan Philaret (Voznesensky) of blessed memory, the 30th anniversary of whose repose we marked in November 2015. He had great love for young people and often met with them. At the same time, he was a strict ascetic monk, took Church canons very seriously, and was a zealot for ecclesiastical order. For years, our youth has accompanied Archpriest Alexis Duncan on visits to Tikhvin in the Diocese of St. Petersburg in order to help in the renovation of Entrance of the Theotokos Convent. This year, with the financial support of our Diocese, 11 young men and women traveled with Archpriest Andrei Sommer to the capital of Belarus, Minsk. On this, the centennial of the martyrdom of Holy Grand Duchess Elizabeth, the relic of her hand was brought there for veneration. Before the trip, collections were made to build a sensory park for children with special needs in Minsk. The young people also participated in conferences and worked as volunteers in an orphanage. It is noteworthy that for many of these young people, the trip to Minsk was their first to their historic homeland. This new generation grew up in a Church that was already united, and know nothing of old divisions. Most of the joint youth events would have been impossible without the signing of the Act of Canonical Communion between the Russian Church Abroad and the Church in the Fatherland—an historic event, the 10th anniversary of which we celebrated together with the fullness of the Russian Church in 2017. This year, the 10th anniversary of the death of His Holiness, Patriarch Alexey II, and Metropolitan Laurus, we prayed for the repose of the primates, thanks to whom the exceptionally important event of our epoch occurred – the reunification of the Russian Church. Memory eternal to them! In the last two years, we also remembered the crucial events in the history of Russia and the Russian Church – the Revolution of 1917, the beginning of the persecution of the Church, the centennial of the martyrdom of Tsar-Martyr Nicholas II, the Royal Family, and Grand Duchess Elizabeth and Nun Barbara. These sorrowful years were the cause of many memorial services and conferences, during which we not only gazed into the past, but tried to make sense of things, how the consequences of those events affected today’s society. 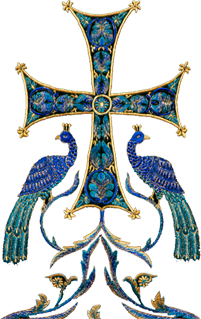 Among the events in our Diocese, one must note the night-time Liturgies on the feast day of the Royal Passionbearers on July 17; the unveiling of the bust of Tsar-Passionbearer Nicholas II in the Synodal headquarters; the exhibition "The Last Days of the Last Tsar" at Holy Trinity Seminary in Jordanville, and the youth symposium "New Martyrs of Russia: 100 Years After the Revolution & Our Future," held on October 20 of last year, organized by the St. Prince Vladimir Youth Association. We participate in annual celebrations at St. Vladimir Memorial Church in Jackson, NJ, when we prayerfully remember our eminent hierarchs – the founders and first bishops of the Eastern American Diocese. In 2016, we marked the 40th anniversary of the repose of Archbishop Averky (Taushev; April 13) and Archbishop Nikon (Rklitsky; 4 September). By the grace of God, I had the personal honor of working under Archbishop Averky, a hierarch and monk of abundant experience and wisdom, who stood for the purity of Orthodoxy, an earnest and humane man. Those who remember Archbishop Nikon speak of a kind and humble archpastor who devoted himself to our Church and to "Old Russia." Our Media Office prepared a film on the lives of the hierarchs, narrated by Fr. Valery Lukianov, which was shown at the Diocesan Center. As we ponder the lives and works of these hierarchs, we pray that future generations will likewise preserve their memory, continue their work and faithfully serve their legacies. A great deal of good can be said about all these remarkable people. They were well known, they were sought after advice and prayers. Let us redouble our fervent prayers that the Lord receive their souls in the abodes of the righteous and grant them memory eternal. In my overview of the life of the Diocese over the past three years, I cannot fail to mention the situation of our seminary and monastic communities. Holy Trinity Seminary throughout its existence has been inseparably bound to the Diocese, and plays a notable role in diocesan life. Its graduates now constitute the majority of the clergymen of the Diocese. The good news is that 15 new seminarians have enrolled there this year. In recent years, the ranks of teachers have been filled by high-quality administrators and professors. For instance, two new teachers were added this school year. It is worth noting that the seminary now offers not only a Bachelor’s degree, but a Master’s degree in theology, which has added prestige to our seminary. By God’s grace, our monastic communities continue their prayerful service. Many new projects are being executed by Holy Trinity and Holy Cross Monasteries and the Convent of Holy Martyr Elizabeth. The former Elevation of the Cross Monastery has moved to a new location, also in Long Island, now named the Monastery of St. Dionysios the Areopagite. After the death of Abbess Irina of blessed memory, on January 15, 2016, a new abbess was appointed to Holy Dormition Convent "Novo-Diveevo" – Mother Makaria (Fadina); the convent has also gained new nuns and novices. The monasteries regularly receive Orthodox pilgrims from our parishes, inspiring them for life in accordance with the Gospel’s commandments. We live in very difficult times. Persecution of the Church in our historic homeland has faded into the past, but lethal secular trends continue to grow. We are also liable to fall into the same temptations as those who lived a century ago, and replace the genuine life with Christ with an external appearance of piety. Pondering the historical experience of our fathers, let us heed the words of the Apostle: "See then that ye walk circumspectly, not as fools, but as wise" (Eph. 5:15). For a year now, we have been lifting our prayers for peace in Ukraine. Recent months are bringing more sorrowful news from Ukraine. Several days ago, the Constantinople Patriarchate committed an unprecedented, anti-canonical act, making an attempt to destroy the foundations of canonical Orthodoxy in Ukraine. 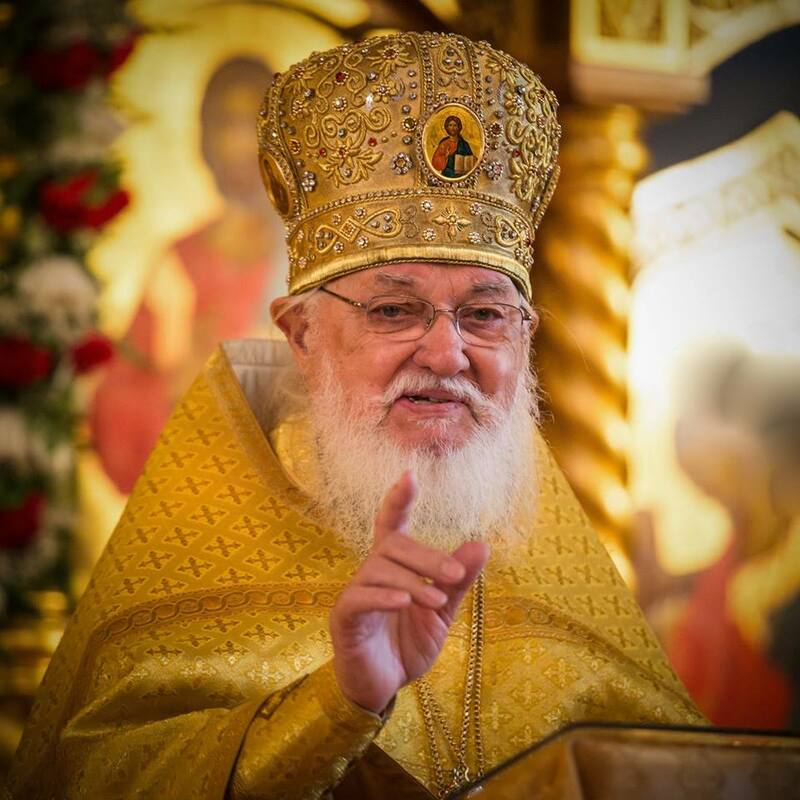 There is no other way to describe the announcement of Constantinople’entering into canonical communion with schismatics, and with the so-called "Patriarch" Filaret (Denisenko), who was excommunicated by the Church. Today, each and every one of us is responsible for the fate of world Orthodox Christianity. Let us beseech the Lord’s help. 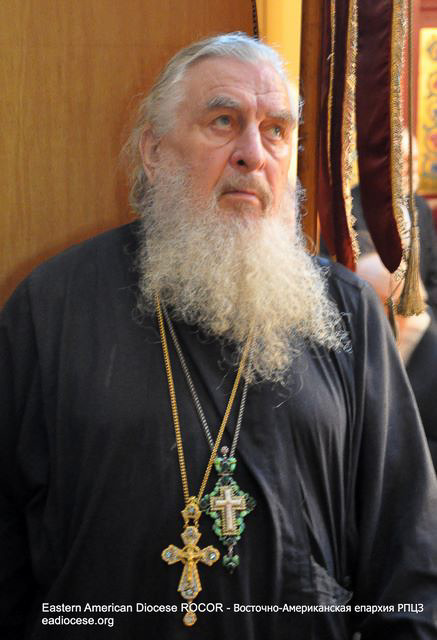 May He support our Patriarch Kyrill in this terrible hour, His Beatitude, Metropolitan Onufry, and all those to whom the Lord entrusted the reins of ecclesiastical rule. I ask you, dear fathers, to lift up with fervor at every Divine Liturgy the prayer for peace in Ukraine and to call for all your parishioners to likewise pray in their homes. In his book True Orthodoxy & the Modern World, published on the 40th anniversary of his clerical service, Archbishop Averky writes, "What must we say of ourselves? How are we to live, what are we to do? We find the answers to these questions with the ancient monks: they foretold our situation: they outlined the way to act in this situation. ‘In the last days,’ said one of them, ‘those who will truly labor for God will wisely hide themselves from the people… They will follow the path of labor, diluted with humility, and in the Kingdom of Heaven will find themselves greater than the fathers renowned for their marvels" (4th response to Venerable Nephon). "This lesson is extremely important! From here follows the corollary: where there is much noise, self-promotion, the seeking of popularity – that is, wherever humility is lacking, and the thirst for glory, for self-aggrandizement in the eyes of others through real or illusory efforts and accomplishments—there we find no true appeasement of God." For this reason, service to the Church is impossible without personal humility, without personal spiritual, prayerful asceticism. A person becomes able to speak of Christ, to teach those listening of the witness of Him only when he himself lives with the name of Jesus in his heart. May God grant us all fruitful labors, each in his own place, striving to elevate the wellbeing of our parishes and monasteries, borrowing from each other successful experience in the life of Church communities. I humbly ask each one of you to pray at God’s altar also for me, that the Lord send me His aid and Heavenly wisdom, granting me strength to serve His Holy Church for many years to come.